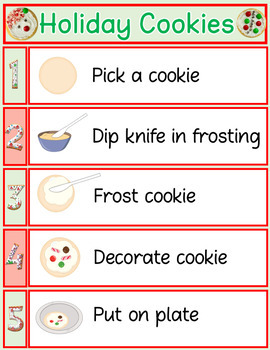 Fun Holiday cookie decorating visuals to make the holidays a little easier! 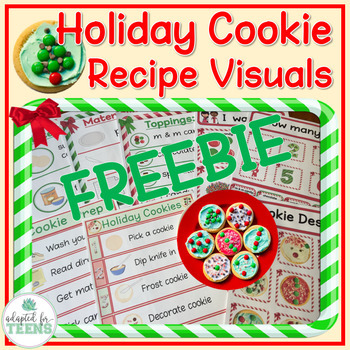 Freebie includes: step by step visuals for prep, gathering materials and decorating. Set of eight visuals includes choice boards to increase communication and interaction. 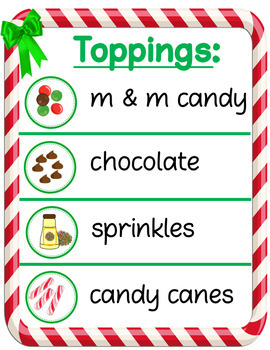 Perfect for Life Skills and Special Education classes during the holidays! 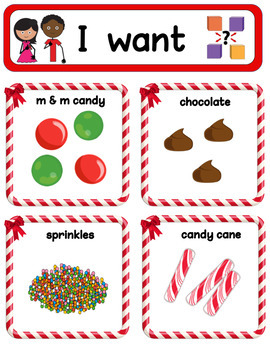 Visual can be used as center activity or in small group instruction. Follow Me for updates on new products!